The GSI Family of Companies The GSI Family of Companies is an industry leading federal contractor. In just over 10 years, GSI's exemplary past performance has made us the client's choice to perform multiple complex projects across the US mainland, Alaska and the Pacific. All the GSI companies are subsidiaries of the Native Hawaiian Community Development Corporation, a Native Hawaiian Organization, founded to support science, technology, engineering, and math education for Native Hawaiians. Established in 2016, GSI Federal Group (GSIFG)'s core focus is providing professional services to support the Department of Defense as well as federal and civil customers worldwide. GSIFG creates tailored solutions for a wide range of professional services including: archival research, briefings and white papers, data and policy analysis, mission-critical training, safety and environmental staffing, and program planning and budgeting. GSIFG is currently pending 8(a) certification through the SBA. GSI North America (GSINA) was established in 2014 and certified as an 8(a) contractor by the SBA on December 1, 2015. GSINA's core capabilities include providing environmental consulting services, environmental remediation, and professional services for the DoD, including the USACE, NAVFAC, and Defense Logistics Agency. GSINA currently holds two $9.9M IDIQ contracts to provide a wide range of environmental consulting, remediation, and Advisory and Assistance (A&AS) services to the USACE Omaha District and their customers. 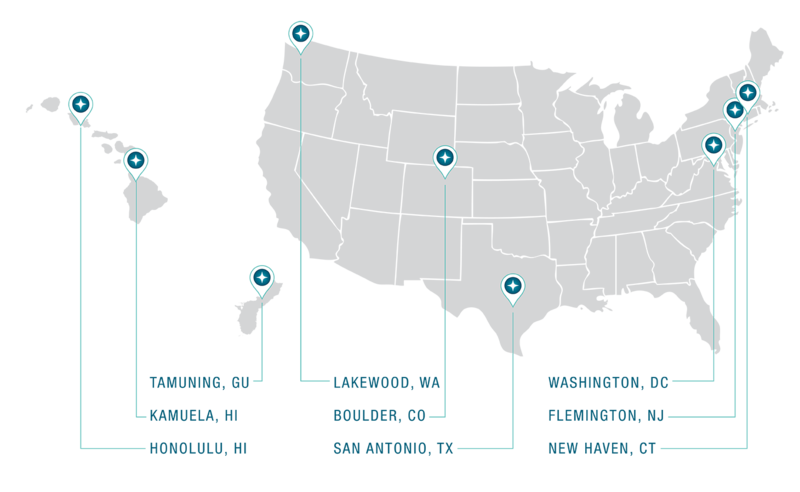 Founded in 2007, GSI Pacific Inc. (GSIP) is headquartered in Honolulu, Hawaii and will soon graduate the SBA 8(a) Program. Over the past decade, GSIP has grown from a small Hawaii-based firm to an experienced Department of Defense contractor providing design-build construction, fuels construction, environmental services, and munitions and range services across the United States and Pacific Region. Since our founding, GSIP has performed more than $80M of munitions and environmental services for USACE Omaha, Albuquerque, Sacramento, Honolulu Districts and the U.S. Army Engineering and Support Center, Huntsville; and nearly $135M in construction projects for USACE and NAVFAC. GSI Technologies (GSIT)is the newest addition to the GSI Family of Companies with its Small Business Administration (SBA) 8(a) certification. GSIT's focus is on Information Technology (IT) solutions and services for DoD and Federal agencies primarily in the Aberdeen Proving Ground and National Capital Region. GSIT has an active Secret facility clearance. Our software engineers, analysts, and technicians provide tailored solutions for a wide range of IT services including: full software development life cycle (SDLC) support, network management, email services, account management, SharePoint support, help desk and data center solutions, asset lifecycle management, and desktop and application management.